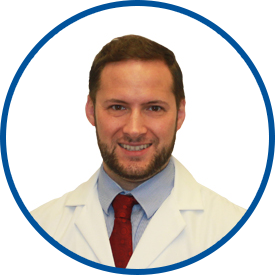 Dr. Koczka is board certified in gastroenterology and hepatology as well as internal medicine. He is a Bronx native who graduated from Cornell University, where he received his bachelor of science degree. He then was awarded his medical degree from the State University of New York Upstate Medical University. He went on to complete his internship, residency in internal medicine, and post-doctoral fellowship in gastroenterology at SUNY Downstate Medical University. After the fellowship, he became an attending physician/assistant professor for the Division of Digestive and Liver Diseases at New York Presbyterian Hospital/Columbia University Medical Center. Dr. Koczka has a unique interest in inflammatory bowel disease and has authored papers that appear in peer-reviewed journals. He joined Westmed Medical Group in 2015. He is very pleasant, and his explanations towards my health was very reasonable for me to understand.